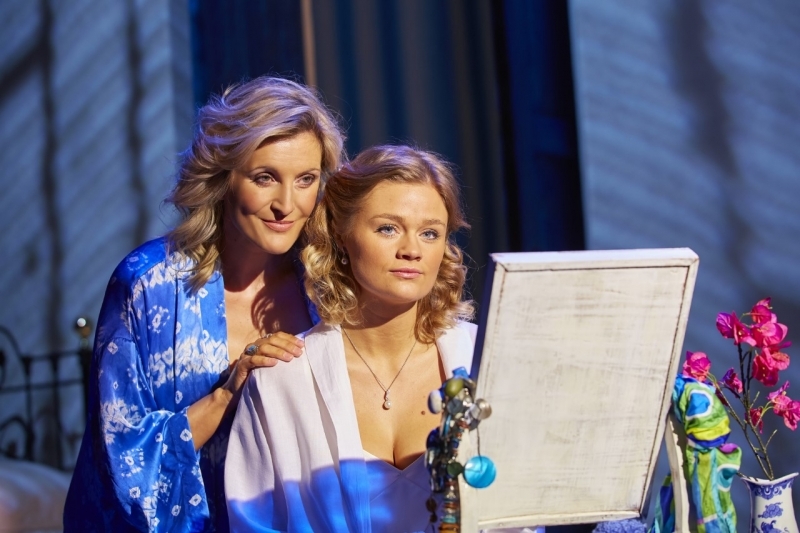 Welcome to UK Music Reviews » MUSICAL THEATRE: Mamma Mia! We laughed, we cried, and we fell in love all over again with the ultimate feel good show, Mamma Mia! at The Royal Concert Hall last night. First unleashed on the world in 1999 it has gone on to play to more than 60 million people worldwide since its debut, and this enchanting tale of family and friendship unfolding on an idyllic Greek island is every bit as heart-warming, not to mention hilarious, as the popular 2008 film. The story revolves around independent single mother Donna, who owns a small hotel on a Greek island and who is reluctantly arranging the wedding of her young spirited daughter, Sophie. But on the eve of her wedding, Sophie’s quest to discover the identity of her father brings three men from her mother’s past back to the island they last visited twenty years ago. For Sophie’s wedding, Donna has invited her two lifelong best friends; practical and no nonsense Rosie and wealthy multi divorcee Tanya from her one time backing band, Donna And The Dynamos, and the fun begins. With the plot set to Abba’s timeless songs, real life couple Sara Poyzer and Richard Standing play former Donna and Sam. Their chemistry on stage is palpable and sparks fly as they bicker, blame and ultimately fall in love all over again. Lucy May Baker plays the role of Sophie with naivety and warmth and she has a great voice to boot. Whilst the relationship with her mother is the backbone of the story, when Donna sings Slipping Through My Fingers as she gets her little girl ready for her wedding day, it’s hard not to get a lump in your throat. Tim Walton had us charmed as fey Harry Bright and Christopher Hollis was entertaining as rugged Bill Austin. But stand out credit has to go to Jacqueline Braun and Emma Clifford who play Rosie and Tanya, as their routines brought the house down with laughter especially as Tanya teases an overzealous groomsman to Does Your Mother Know, whilst Rosie’s version of Take A Chance On Me was both hilarious and endearing in equal measures. 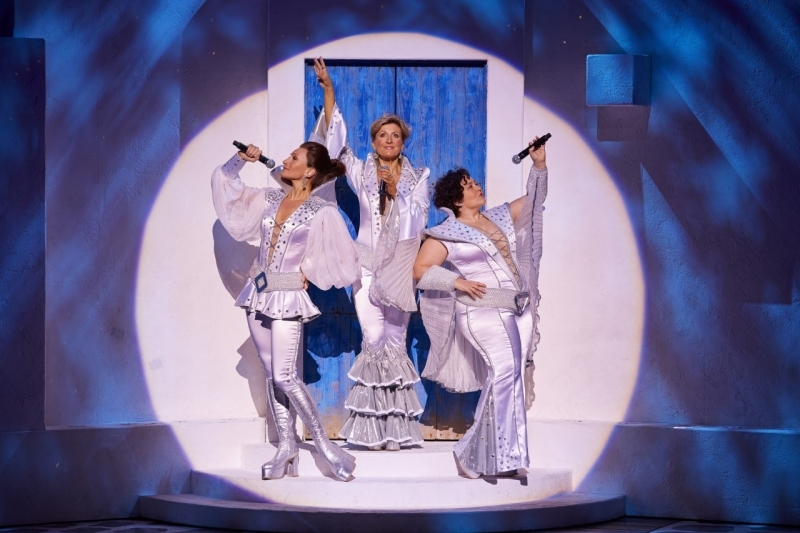 Their numbers together are in turn touching, energetic and outrageously funny with their renditions of Dancing Queen and Super Trouper eliciting spontaneous cheering and applause. 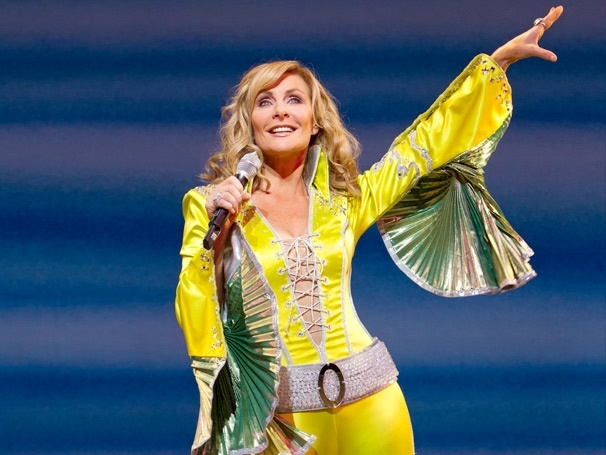 Playful, whimsical and fast paced, Mamma Mia! is expertly staged with everyday items becoming the microphone of choice. From hairdryers and drills to snorkel masks, nothing is out of bounds when there is a 70’s tune to belt out. The supporting cast were brilliant at keeping the party atmosphere going, especially in the Hen and Stag scenes complete with deep sea divers and salsa dancing. But the highlight of the show was Donna’s powerful and incredibly moving Winner Takes It All which had everyone on the edge of their seats, before she and her friends got lycra’d up for the Waterloo finale, bringing the entire audience to their feet. 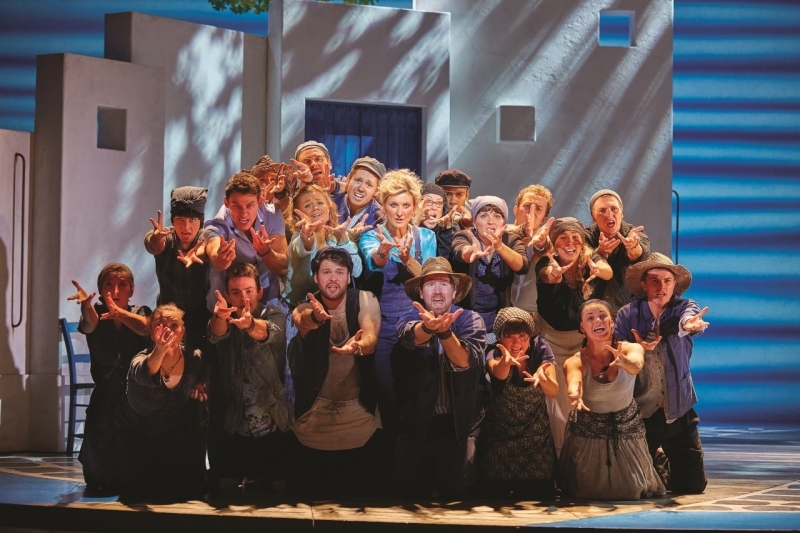 If you enjoy a good night out, a sing along and a show that doesn’t take itself too seriously, then Mamma Mia! is a must night out.